Beneficiaries of President Muhammadu Buhari's cancellation of the difference between university and polytechnic graduates in the civil service have praised him for his actions. While the disparity had before now restricted polytechnic graduates to certain Salary Grade Level (SGL) in the civil service, it took the intervention of the National Council on Establishment (NCE) to address and solve the issue in their favour, Daily Trust reports. 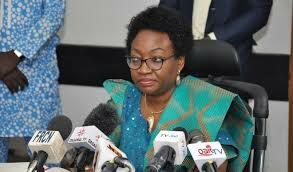 Winifred Oyo-Ita, the Head of Service of the Federation (HOCSF), in a statement dated Monday, March 26, relayed the the decision of the NCE to all concerned and solicited their support for implementation. The circular indicated that NCE approved entry point of SGL 08 for HND holders in the civil service. It also encouraged serving HND officers to fulfil all specified conditions as contained in scheme of service and extant rules for career progression beyond SGL 14. Ahmad Yabagi, the head of the umbrella body of the beneficiaries, the Nigerian Association of Technologists in Engineering (NATE), informed journalists on Sunday, April 22 in Abuja, that the decision has paved the way for career building. Yabagi, however, advised all government agencies to see that the resolve contained in the circular is implemented throughout the country. Meanwhile, naijaadvance.com.ng reported that Dr Ramon Adedoyin, the executive chairman of the Polytechnic, Ile-Ife, had called for the outright scrapping of the Higher National Diploma (HND) programme, and its replacement with a Bachelor’s degree in Technology, as obtainable in advanced countries. Adedoyin made his comments during a chat with newsmen; against the backdrop of the federal government’s recent removal of the dichotomy between the holders of HND and university degrees.